TB Construction is the premier choice when you want quality new home construction in Central Vermont. Whether you are dreaming of a new custom home, log home or modular home, we will make that dream come true while consulting with you every step of the way. Have an older home that needs some sprucing up? 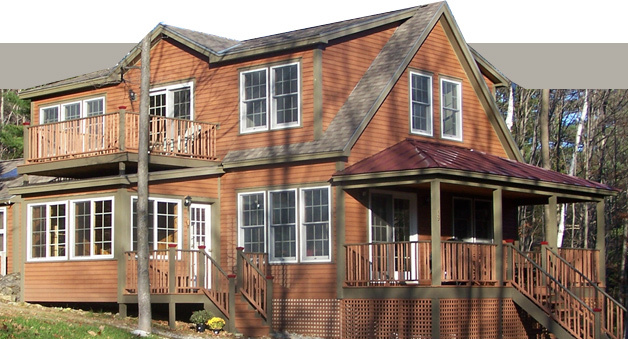 We do projects from the smallest renovations to additions, siding, and roofing. Want to add a garage, horse barn, or out building? We do that as well. We service Addison and Rutland Counties and extend our services into part of Chittenden County VT as well as parts of Eastern New York. Call us today for a prompt and courteous in–home consultation. Our goal is to go beyond the expectations of our clients. We look forward to working with you to make all your homeowner dreams come true!